Lovefilm the subscription based UK streaming service owned by Amazon, have given Samsung owners something to smile about, an update to their smart TV app. Actually the app is suitable for both Samsung Smart TV sets as well as selected Blu-ray players from the 2012 onwards range. The updated features include the ability to create a playlist and queue your selected movies and shows for a marathon watching session. For those that have to rush around, the new recently watched option lists unfinished streams so you can carry on at another time, and even on another device. The recommendations engine has also been improved, and personalized for users along with a star rating for titles from the around 4,000 strong catalog. LoveFilm recently secured a new content deal with Viacom to stream MTV, Comedy Central and Nickelodeon titles. 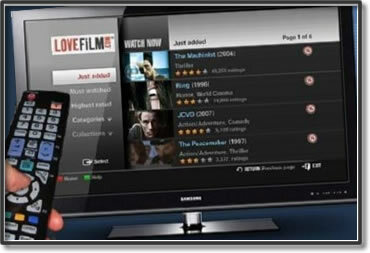 Samsung owners can grab the new Lovefilm Instant app by downloading from the Samsung SmartHub. As the UK’s leading broadcaster, the BBC naturally has a large audience to which they (by the nature of their service) are legally obliged to provide the best possible and most varied viewing experience they possibly can, with the organisation adding to that recently through the new ‘mobile video downloads’ feature for the Android version of their catch-up iPlayer app. The feature had been a part of most of the other platforms the service reached, but it now appears as though the most popular mobile device operating system can now join that list. As with other systems, the Android app video download function will see content that can be reached on the system stored as videos on the device for ‘up to 30 days’ before becoming unavailable to watch. An additional feature noted by Berlin that will set it apart from the iOS version of iPlayer is that Android users can download episodes of shows in the background with ‘no need to keep the screen awake’, a functional addition that will be appreciated by those used to running background downloads of iPlayer through desktop devices, as well as those that prefer to ‘stack up’ on episodes rather than watch individual ones through less reliable streaming methods. For Android, it is noted that these downloads will by default be in ‘High Quality’ mode, although this is changeable via the app’s internal settings. While further updates to the app on Android handsets include ‘bug fixes and Android 4.3 support’ for those unable to support downloads will be on the agenda, the main focus of the app’s new version will be for those that can, with devices from the likes of Amazon (from ‘Kindle Fire 8′ upwards, with the BBC looking to develop compatibility with version 7), HTC (One), and Samsung (S2 upwards) amongst those able to fully support the new feature. 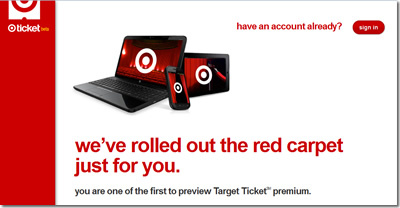 US retail giant, Target are entering the internet TV arena with a new service called Target Ticket. The service will offer consumers digital movies and TV episodes to purchase or rent. Target who are the second biggest retailer in the US, behind Walmart (who own the Vudu streaming service), have been trialling the streaming service with company employees for a while, and are now almost ready to unleash it onto the public. The service which will include parental controls and easy purchase options, will be available for PC, Mac, iOS and Android devices. Support for consoles, Blu-Ray players and other connected hardware is said to be coming too. The service is also said to support the Ultraviolet standard, which lets buyers of physical discs get access to a streaming version for free. Costs are expected to be high (just like iTunes) for movie purchases from $12.99-$14.99. Movie rentals will be between $3.99-$4.99 with TV shows from $2.99 and full seasons at $35. 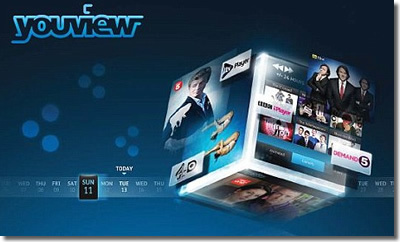 The YouView catch-up TV service are going on a promotional spree pushing the benefits of it’s set-top box to all wannabee internet TV viewers. The new £10 million campaign which begins later this week will push the message, “Catch up with your feet up”. The campaign follows a previous advertising spree last September which came with the tagline, “extraordinary TV for everyone”. The advertising message shows various combinations of feet in the front of a television screen along with a YouView set-top box. The campaign for the YouView service which finally launched 2 years late after a spate of problems, will include full ads in national newspapers along with TV advertising on UK networks, ITV, Channel 4 and Channel 5 who all happen to be partners in the project. Connecting with the social demographic means that YouView are also coincidentally launching on Facebook page which will feature helpful and how-to videos for the service. Although Youview is successful after announcing 400,000 set-top boxes sold back in June, they are now competing with rival Sky who have recently launched a £10 set top box showing catch-up services from Channel 5, Sky News and the BBC along with it’s pay-to-view service Now TV. While not known too well for their sporting coverage in recent years (with a few notable exceptions), UK terrestrial broadcaster Channel 4 have announced a reclamation of one of their most famous assets, with the NFL, the world’s highest level of american football, arriving back on the channel with full local free-to-air broadcasting rights. Whilst pay-tv option Sky Sports will maintain much of their hold on the league’s coverage in the UK, Channel 4 have snapped up the rights not renewed by former broadcaster of events BBC, taking on their portfolio and adding to it. The result of this more dedicated coverage to the American league is a 2-year deal (running through the 2013 and 2014 seasons including play-offs) that sees exclusive live coverage of the end-of-season Super Bowl (with Sky losing their stake in that event), joint live coverage of the ‘NFL International Series‘ games (of which two will be played this season at Wembley Stadium in London (the second of which on 27 October possibly being ill-timed based on potential local and global events)). 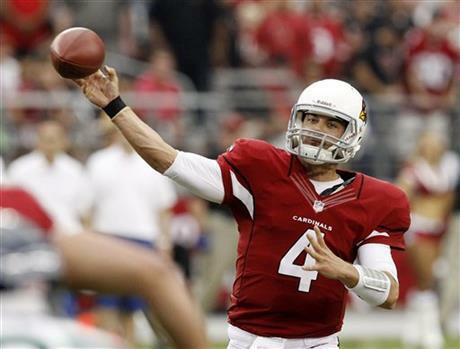 In addition, Channel 4 will continue their previous offering of live Sunday Night Football (that begun in 2010), weekly highlights programming, fly-on-the-wall NFL training camp documentary series Hard Knocks, and a selection of other ‘specialised programming’. Set to air their first game (Giants @ Cowboys) of the new deal on Sunday (8 September), Channel 4 will have headlining control of NFL coverage in the UK for the first time since 1998, and once more jumpstarts a relationship which began with a regular highlights package in 1982. Known for their coverage of less conventional topics, will the network be able to provide the secondary ‘niche’ platform for the NFL in the region that the BBC were in less of a position to offer? With major American internet streaming services such as Netflix and Hulu believed to be targeting Australia as their next destination for expansion, local broadcasters are said to be planning to create their own services to hold a large proportion of the online TV market in anticipation of such moves. While creating a dedicated streaming platform could have been an inevitable move based on current digital TV trends, the threat of Netflix arriving and potentially claiming an instant and insurmountable dominance over the market seems to have struck enough fear to force the hands of major local commercial broadcasters Seven and Nine, who are now rumored to be collaborating on a service of their own. The two leading commercial channels in Australia (Plus 7 owned by Seven Media Group and Nine Entertainment Co., respectively) are claimed to be holding talks over a joint subscription video-­on-demand (SVOD) platform, although there is currently ‘no guarantee’ that any deal will be created between the pair. Sources of the Nine Network, however, have suggested that a potential arrangement could be thrown out of the question even sooner than that, after their company’s chief executive David Gyngell voiced his frustration at the slow rate in which negotiations were progressing. Seven West Media’s chief executive Tim Worner last week told The Australian Financial Review of his experiences with potential VOD partnerships in recent times: “What I have said is there is an opportunity for us to move to a subscription model, just because we own so much content. Can we actually monetise it in that window? And the answer to that is ‘yes’, there are a number of options available to us to do that, because we own so much of our own content, and a lot of that content is really ‘sticky’. A show like Home And Away for example, is the most caught-up show on Australian television by some distance. Though it appears as though there will be a way for Seven (and most likely Nine) to make their mark in Australian streaming, how likely is it that they will do so together?